Public service is important to many MSBA members, especially the volunteers of the Young Lawyers Section (YLS) and Public Awareness Committee (PAC) – including YLS Chair Indira Sharma and State Delegate Erek Barron, himself a Past Section Chair, as well as PAC Chair Myriem Seabron – who turned out for the 23rd Annual Maryland State Police Polar Bear Plunge on Saturday, January 26, 2019, at Sandy Point State Park in Annapolis. Team MSBA collectively raised $1,500 for the event’s beneficiary, Special Olympics Maryland. “It’s an annual tradition for us, and we’re really proud of that,” said Veteran Plunger and Section Treasurer Liz Rosen. “Nothing builds camaraderie,” noted Chair-Elect Nate Risch, “like jumping into 40-degree water with the people around you.” Seabron concurred. Donations remain open through the end of January. Visit the Team MSBA page for more information. 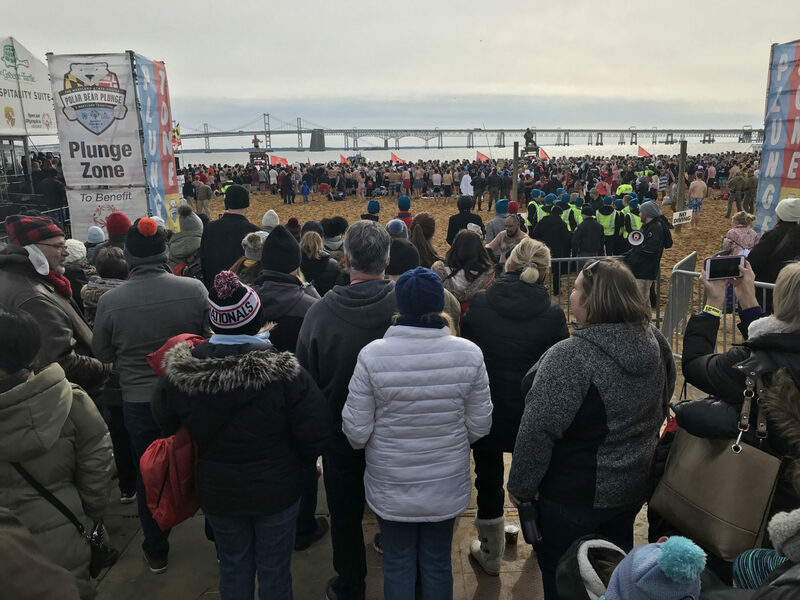 The MSP Polar Bear Plunge is but one of the more than 300 events that MSBA presents or otherwise takes part in each year. Learn more at www.MSBA.org.